WaterNSW is calling for nominations for membership of its 10 newly established Customer Advisory Groups across NSW. Nominations are now being called from recognised water user organisations and water industry groups for representation on these key area advisory groups for the inaugural term of office, 2017-2019. WaterNSW is particularly keen to have nominations from new customer representatives to its business as a consequence of recent integration of functions into WaterNSW, including unregulated and groundwater customers throughout the State, and Barwon-Darling and Greater Sydney area customers. 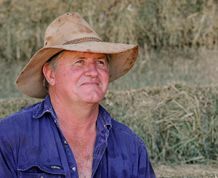 WaterNSW Executive Manager Customer and Community, David Stockler, said that WaterNSW is looking for water users who wish to make an important contribution to the new Customer Advisory Groups. “WaterNSW views Customer Advisory Groups as an important forum for communication and consultation with our customers. Customer Advisory Groups provide a forum to regularly consult, on an area basis, with a broad cross-section of our customers on issues relevant to our performance and delivery of services to customers,” Mr Stockler said. Membership includes WaterNSW customers who are regulated river water users, unregulated river water users, groundwater users, stock and domestic users, environmental water users, industrial and commercial customers, Local Water Utilities, major utilities, volumetric categories of customers and Indigenous Australian water users. Mr Stockler recognised the valuable contribution of WaterNSW Customer Service Committees, and congratulated the outgoing Chairpersons and committee members for their time and valuable input. Nominations close on 5 May 2017. For more information about the nomination process please contact WaterNSW on 1300 662 077 or email csc.support@waternsw.com.au.